Again, I do apologize for nitpicking so. No new players are allowed, sorry; I think I've reached my limit for the amount I can handle with some degree of quality GM-ing. Question does this affect the characters i wanted to bring in later in the story? thanks for letting me know, sorry I haven't been on the RP as of late, just a busy week with lot of homework. The weapons and talismans originally wielded by the Thirteen are the relic hunters' only means of standing against the Heralds of Unicron. Though they will not avail the full extent of their abilities to them, as none of them are Primes (a convenient explaination for the many tweaks I've made for game balance ), they are still powerful and formidable relics beyond most others in the cosmos. 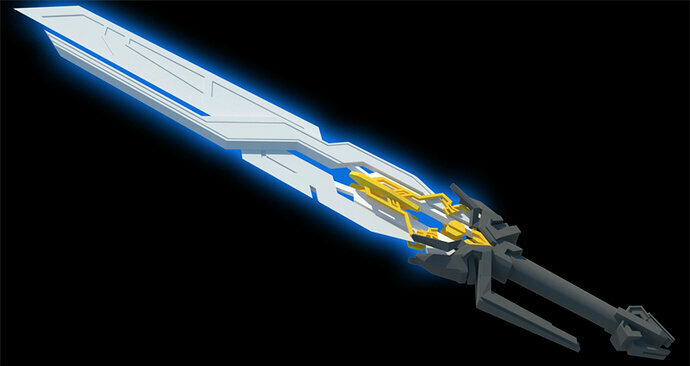 Wielded by Prima, the Warrior of Light, the Star Saber is perhaps one of the most powerful weapons in all the cosmos. As lore would have it, the waves of energy sent forth from the blade could lay low legions of warriors, sunder mountains, and carved deep crevasses into the surface of the Chaos Bringer's planet form. The Star Saber currently lies at the bottom of a lake on the colony of Primogenitum, and will avail itself only to one who is pure of spark, and seeks to use its' power for a selfless and noble cause. Like the Matrix, the Star Saber can only be wielded by one it deems "worthy". Fortunately, it is just a tad less picky than the Matrix on what it defines as such. The Star Saber also receives an all-around nerf to its' power; while still formidable, you can't go around splitting mountains or doing any of the other crazy stuff it can sometimes do. 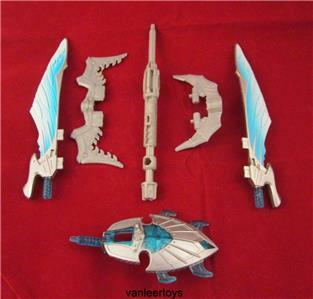 Bequeathed to Prima by Solus Prime, the Skyboom shield is the only thing that can effectively withstand the full power of either of the Star Sabers or the Requiem Blaster. Currently, it rests with Prima within a tomb built into the peak of a mountain on Primogenitum. 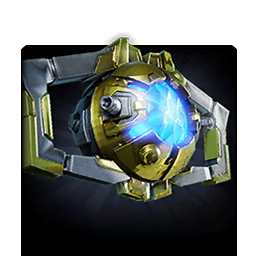 The Skyboom Shield can project energy fields of various sizes (ranging from, say, covering only the shield itself to being able to protect three-or-four average-size bots) that are nigh-impenetrable, however only last a short while. 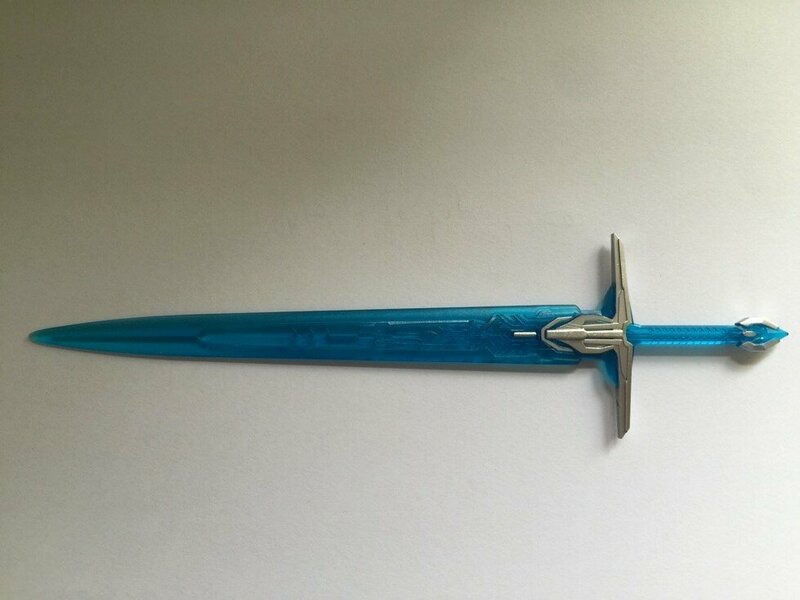 The weapon of Vector Prime, the sword Rhisling allowed the Guardian of Space and Time to cut through the very fabric of reality itself, allowing quick travel between far away places, other points in time, and even other universes. 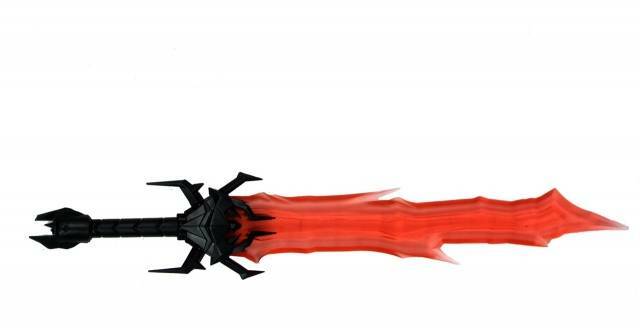 Whether or not that is the extent of the blade's power over reality has never been determined. The exact location of Rhisling on the colony of Aevum is unknown. In-game, Rhisling only allows travel to other places in the current time, and only to places the wielder has seen, at that. 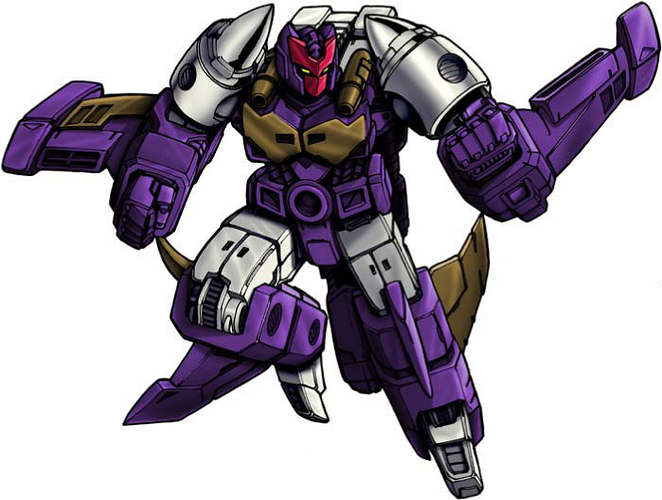 In addition to the original Covenant and the Quill, Alpha Trion was given a companion in the form of Beta Maxx, to aid him in his duty of recording the history of the Cybertronian people. After Unicron's defeat, Beta Maxx was connected to the Allspark through Vector Sigma, granting him access to its' accumulated knowledge. Beta Maxx is more than willing to use his wisdom and unique abilities to help others, however can be rather blunt and straightforward, despite not usually meaning to be callous or hurtful. For nearly five million years, he was held captive by a psychotic prototype of Vector Sigma on the colony of Sophos, before being freed by the relic hunters. Beta Maxx's alt-mode can function as an alternative Key to Vector Sigma, and he also possesses a weapon configuration that can beam garbage data into the processors of enemies via beams of light, momentarily stunning them. Wielded by the Prime of Creation, her eponymous Forge harnesses power beyond the realm of science to craft or mend whatever its' bearer desires. It currently rests in the Astral Caminus on the artificial world of Astrum. The Forge's power isn't quite so unlimited in-game, sadly. Have your character initiate the action of using the Forge, and I'll decide whether or not it is successful. Player: my character attempts to forge a plasma caster. Depending on the situation, I will decide whether or not the attempt succeeds. 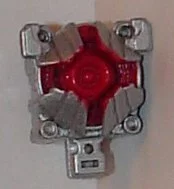 The talisman of Micronus Prime allowed the diminutive demigod to share the raw power surging through his frame with his fellows, in addition to copying their abilities for his own use. For many generations, the leader of Vergrandis wore it on a necklace as a badge of office, however the relic hunters have borrowed it to aid them against the Heralds of Unicron. When the Chimera Stone is active, all PCs in the area are able to copy each other's powers. You cannot copy the powers of NPCs, and you can only copy a maximum of four at a time. The Chimera Stone will also deactivate at a time of my choosing. 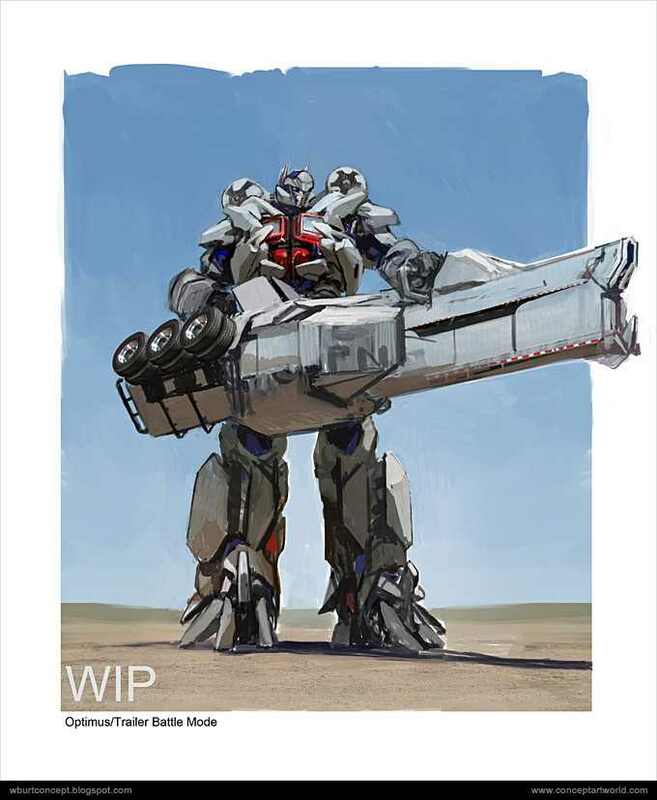 Noticing how Liege Maximo lacked the physical strength and overtly powerful weapons of his siblings, Solus Prime forged for her brother a great suit of armor for him to wear in the battle against Unicron. After the War of the Primes, Alchemist Prime took possession of the Apex Armor, taking it with him to Elementum. It is currently locked away in the vaults beneath the capitol city of Achimia. The first of these grants the armor flight capability, and is armed with a large blade, the edges of which are cloaked in plasma, and a electrified whip. The whip generates a faint gravitational field that can attract small objects, and the blade also possesses a built-in dark matter cannon. The second configuration arms the wearer with two massive blades, the edges of which are cloaked in plasma, and a blaster over the shoulder. As with the first configuration, a dark matter cannon is built into each blade. Jets built into the forearms, the dorsals, the small of the back, and the calves augment the wearer's speed and agility to a degree, however they aren't powerful enough for sustained flight. The third configuration of the armor sacrifices much of the wearer's speed and agility, opting instead to arm it with a massive Hyperflux Cannon (look it up on TFWiki). Once, Alchemist Prime possessed a myriad of blades through which he channelled and magnified his power over the elements. Sadly, only two have survived into the present day, safely stored away in Alchimia's vaults. The Cryo Saber enables the user to freeze objects and opponents with just the faintest touch of the blade. The Pyro Saber grants the wielder limited pyrokinetic abilities. 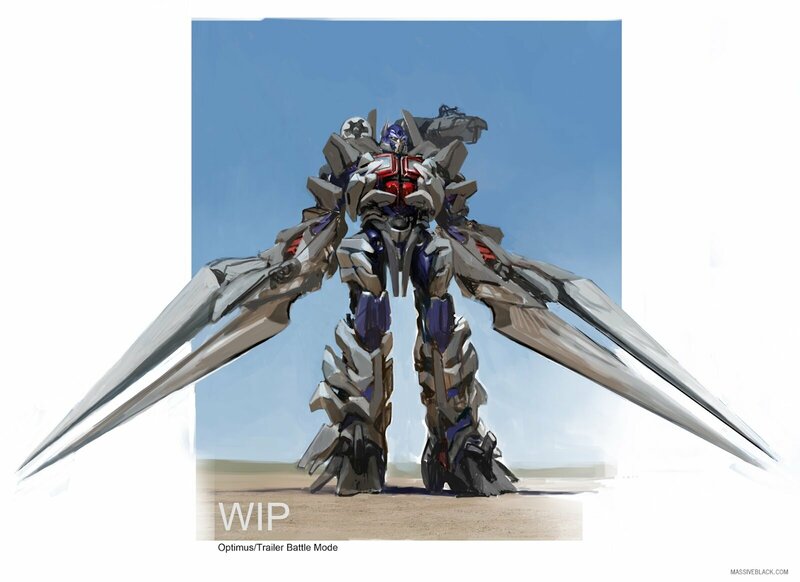 Nexus Prime's talisman is what allowed him to separate into his five components and share that power with others. It rests with him in his tomb on Concordia. The Enigma of Combination can be used to form combiners out of various PCs and NPCs, which last a while before the Enigma "times out". If a gestalt is formed out of characters controlled by multiple players, I trust that you will decide who will control it amongst yourselves. Roll a die, or flip a coin, or something. The Enigma also creates a new gestalt entity each time it is used, regardless of who is using it, and can only merge five bots at a time. 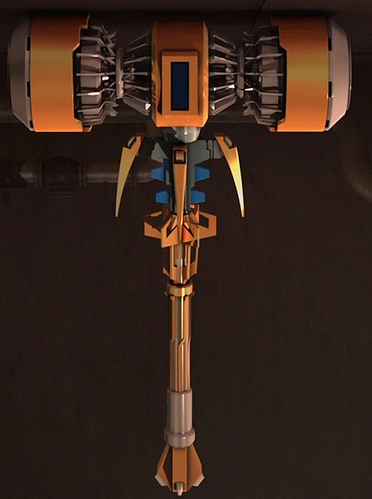 In it's combined form, Nexus Prime's sword, the Cyber Caliber, can repair or disassemble nearly any object. It's five components are each hidden on one of the moons of Concordia. The combined form of the Cyber Caliber can only be wielded by a gestalt formed of at least two bots (wearing the deployers as armor doesn't count). Like the Forge, players will initiate the repair/destroy action, and I will ultimately decide if it is successful. This is the best image I could find of the components. The long shaft in the middle and the weird-looking thing to its' immediate left are supposed to be combined into a pick. One of the component swords can only access the repair ability, the other can only access its' destructive counterpart. The same restriction as above applies to these two. The shield can project energy barriers that shatter after taking too much damage. The pick emits a blast of destructive energy when slammed into the ground. The batlith-looking thing enhances the wielder's movement speed. 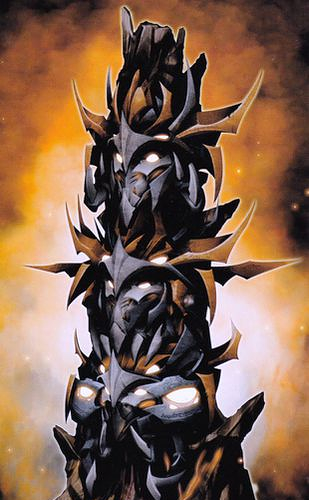 The three-faced mask of Onyx Prime bestowed upon the Lord of Beasts great powers of vision, allowing him to see into the minds of others, far away places, times long past (and yet to pass) and even the realms beyond the mortal plane. Entrusted to the king of Eukaris, the relic hunters obtained the mask during their visit to the world. Farsight, the first face, allows the wearer to see other places and people, as well as into the past. It only lasts a short time, however. Predator, the second, grants the wearer insight into the minds of others. It is on a time limit, however, and the target is aware of the intrusion and can act against it. The last face, Mournsong, allows the wearer to see into the Allspark or the Pit, shades of the deceased that inhabit them, and sometimes even visions from Beyond. Like the other two faces, it is on a time limit. The weapon of the First Transformer was just as fluid in form as Amalgamous himself, able to assume the shape of any weapon or tool he desired. It's current location on Muto is unknown. The same restrictions to the Forge of Solus Prime apply to the Scythe. The beautiful gem carried by Quintus Prime enabled him to creat life and revive the dead. Sadly, it is currently in the possession of the Heralds of Unicron. The Emberstone can only imbue life to organic material or sentio metallico, the metal that Transformers are made of. This life isn't too terribly intelligent, and will eventually become inanimate once more. To revive a dead person, the bearer of the stone must have the body of the deceased (or a significant portion of it, at least). Even then, what is created is a mere shade of the departed which will eventually return to the Allspark. The weapon of the Dark Warrior, Megatronus draws its' power from immense, cosmic sources. It rests within an impregnable stronghold on Bellator, and few beside he can master it. Care must be taken when using the Requiem Blaster, as the incomparable energy coursing through the weapon constantly threatens to overwhelm and devour the wielder. 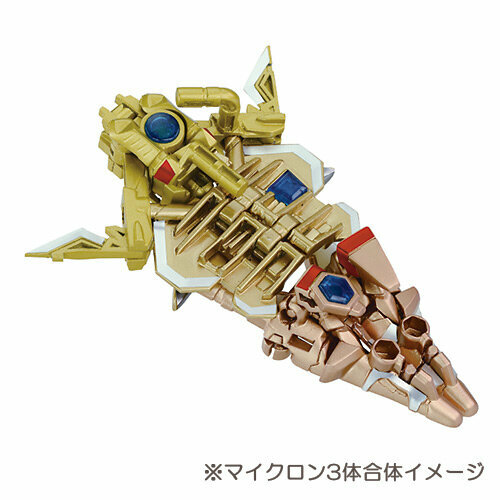 It also recieves an all-around power decrease, akin to the Star Saber. First entrusted to Optimus Prime, the Matrix of Leadership has been passed down through a long line of successive Primes, and will only bestow its' godly power and wisdom to one it deems worthy of the title. The power of the Matrix can only be harnessed by a Prime, or at least one the Matrix deems worthy of being one. In the hands of any other, it assumes a dormant state. Bookmarking that on the boards. There's also a link to it on post 76, which in turn is linked to the first post, to further facilitate ease-of-access. Thanks. Hope that you have a good day; I'll patiently await the resuming of the RP (likely gonna happen tomorrow). It will resume tomorrow, after I get a good night's rest. 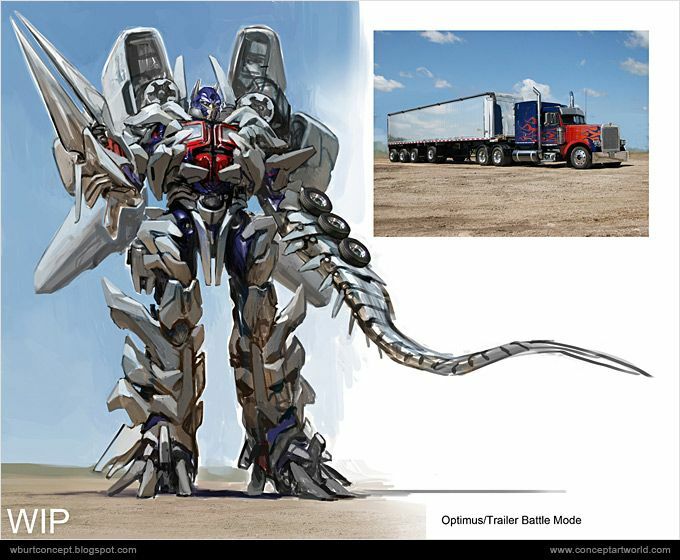 Appearance: He looks like a regular Autobot, however a little skinny, due to the lack of an actual alt mode. He is also blue, the colour of his main self. Bio: He was born with a very very very weird anomaly. Basically, he have the Cybertronian equivalent for the multiple personality disorder. In total, there are 6 more selves living in Sparkplug's body (I will make different sign-ups for all of them when I wanna use them). Sparkplug has no idea about this disorder and he believes he is a normal Monoformer. The selves allied with each other, to try to hide their existence. Nobody knows about them. When one self wants to take over the body, Sparkplug enters in stasis, and his body resemblance the self. When Sparkplug would retake the control of his body, he will not remember what just happened. Appearance: Exactly like Sparkplug, but with all red armour, a red mouthplate and a red cape. Bio: Sparkplug's first alt personality, Furiaan represents his rage and his wish to kill everybody. Furiaan's plan is simple: kill everybody, take their goods, and then ask questions. Since you already have a good number of characters, would you be alright with waiting until one of your current roster kicks the bucket before playing this one? Sparkplug is one of the Genericons on the Excalibur. Unfortunately, the Excalibur has no such genericons. The only people on the ship are those who boarded it back on Gigantion and those we've picked up on the voyage. to that end, you'd probably have to change his homeworld to one of the Prime colonies. What if we bumped this down to three or four? Furiaan represents his rage and his wish to kill everybody. Furiaan's plan is simple: kill everybody, take their goods, and then ask questions. This is basically what he wants to do now on the Excalibur. Mind changing this a bit? This would make Furiaan a bit disruptive to the game. I was actually thinking to have this one kill the useless ones, or put them in stasis. OK, what was the next colony called? Four is a good one. Furiaan will always try to kill. Doesn't mean he will succeed. Right now we're above Elementum. Still, please make some changes to his personality. A character whose primary motivation is "kill everybody, take their stuff" doesn't work in this RP. OK, I'll edit so that his homeworld is Elementum. Well he is the range, so will fit his character to attack everybody. It would also fit if Furiaan was just very irritable and unpleasant to be around, or had a short fuse, perhaps. A character representing anger doesn't always have to be a homicidal maniac. I was keeping this for a yellow personality but fine. Let's say he is just a unpleasant person that can easily be angered.